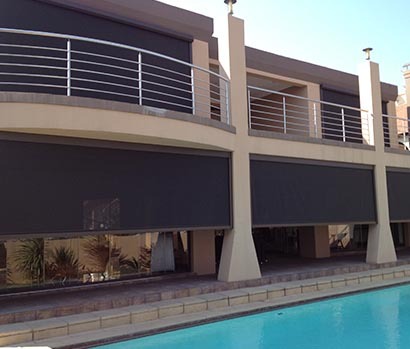 Channel X Outdoor Blinds feature side channels to enclose the blind. 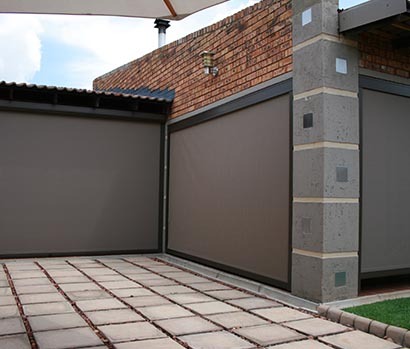 This makes the blind safer to lift up and down, gives a complete wall to wall ﬁnish and provides for better insulation and weather protection. Channel X Blinds are secured at the bottom (or at halfway if you wish) using a central turn knob for maximum convenience. 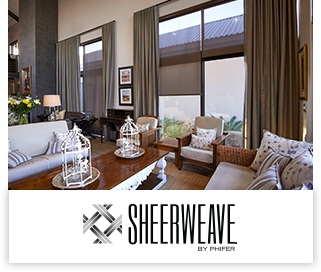 Suitable for: The side channels allow you to move the blind into any position without securing the blind at the bottom. 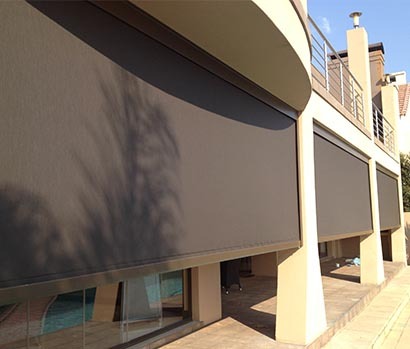 Channel X is suitable for controlling sun and glare and offering a degree of weather protection for your outdoor area. Avoid: Irregular openings that aren’t perfectly square or openings that have stepped tiles or skirtings’ interfering with the opening. Be aware that the fabric will not be contained inside the channel at all times as gusts of wind can blow the fabric out. 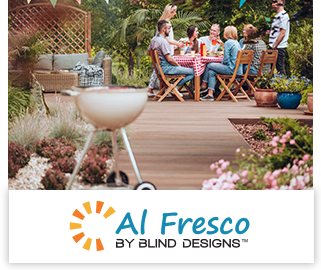 Also avoid if you require full weather protection for your outdoor area.